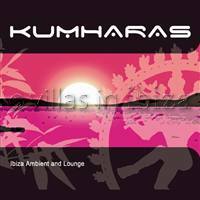 Located in San Antonio Bay, Kumharas is the perfect place to enjoy the beautiful sunsets that Ibiza has to offer. It is an unusually styled bar with lots of charm about it. One of the bar areas is made from an old boat, while the other is in the style of the lookout towers that you see around Ibiza’s coast. It is a very popular bar but there is plenty of room for everyone to get a good view of the sunset. Kumharas know how to create an atmosphere, and the combination of music playing from the bar and impromptu drummers and percussionists, sets the tone perfectly. If you are staying in the San Antonio Bay area, or even if you aren't, Kumharas is well worth a look.